The Houston Rockets aim to take control of their first-round series against the Utah Jazz when the clubs meet again Wednesday night in Game 2. Tipoff is set for 9:30 p.m. ET from the Toyota Center for Game 2 of the 2019 NBA Playoffs. Houston, the No. 4 seed, led wire-to-wire in a dominant 122-90 Game 1 victory on Sunday, led by 29 points and 10 assists from James Harden. The No. 5 seed Jazz are hoping for a repeat of last year’s playoff series with Houston in which they won Game 2 on the road and sent the series back to Salt Lake City tied at 1-1. The Rockets are 6.5-point favorites and the over-under for total points scored is 212.5 in the latest Rockets vs. Jazz odds. 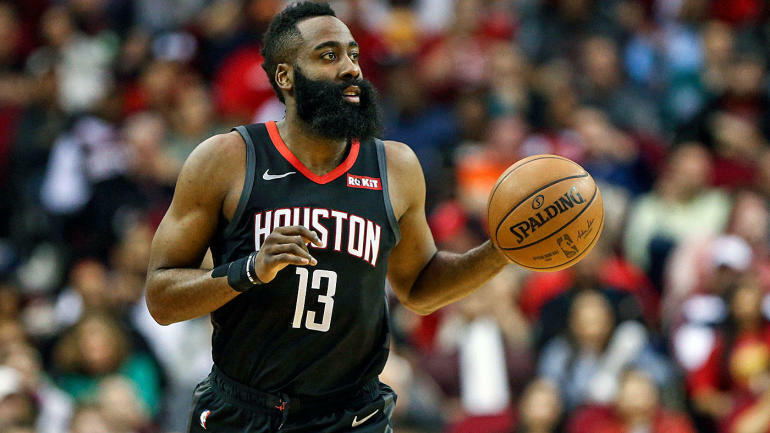 Before you make your Rockets vs. Jazz picks, check out the NBA predictions from the SportsLine Projection Model. Now, the model has dialed in on Game 2 of Rockets vs. Jazz. We can tell you the model is leaning over, and it has also generated an against the spread pick that hits over 50 percent of the time. That one is only available at SportsLine. The model knows the Rockets will be careful to avoid a letdown against a dangerous Jazz club after they similarly controlled Game 1 last season only to lose 116-108 in the following contest. But they were in top form in the series-opener, with Harden leading the way with an efficient output of 29 points and 10 rebounds. The reigning MVP also snagged eight rebounds to come up just shy of a triple-double. All five Houston starters hit double-figures and seven players ended up with at least 11 points. Point guard Chris Paul turned in a solid outing with 14 points and seven assists, while center Clint Capela had his way in the paint with 16 points and 12 rebounds. The Jazz cut a 15-point halftime deficit to five late in the third quarter, but the Rockets responded by putting the game away with a 39-19 margin in the final period. They shot 50.5 percent from the field and managed a 51-48 rebounding edge. Even so, Houston isn’t assured of covering the Rockets vs. Jazz spread. Who wins Game 2 of Jazz vs. Rockets? And which side of the spread hits in over 50 percent of simulations? Visit SportsLine now to find out which side of the Jazz vs. Rockets spread you should be all over Wednesday, all from the model that’s up more than $3,500 on top-rated NBA picks this season.